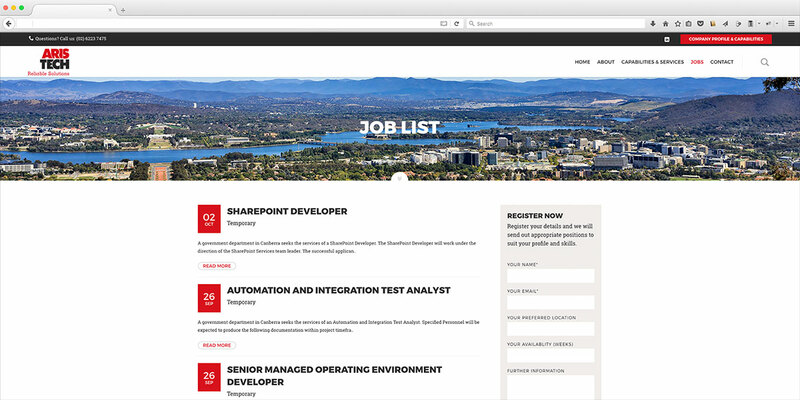 Many IT professionals in Canberra work for government agencies which entails a unique set of requirements. Aristech is the premier agency selecting and supplying IT experts to companies and organisations in the Australian capital city. 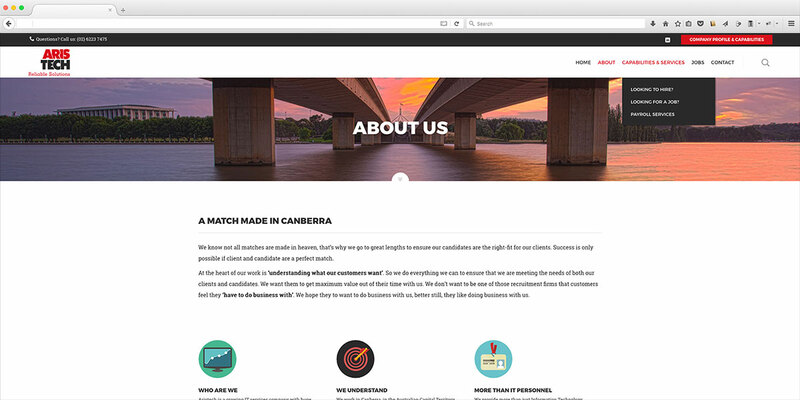 They needed a new updated website and identity to help them connect with their clients and candidates and portray their easy-going yet professional image. 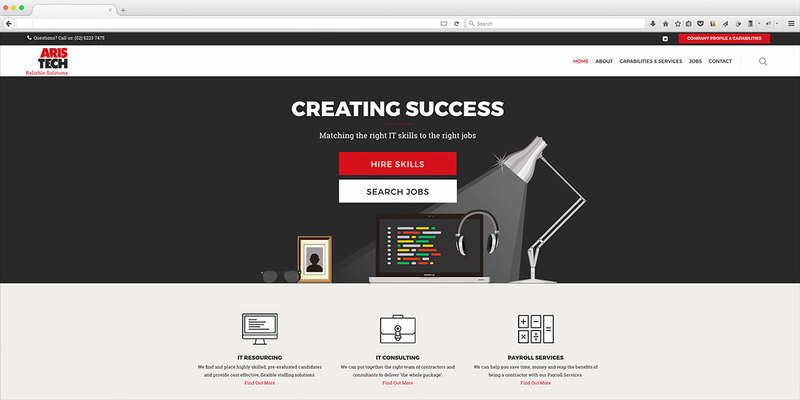 They also needed to integrate their recruiting software – Bullhorn, so the latest jobs could be displayed on the site.